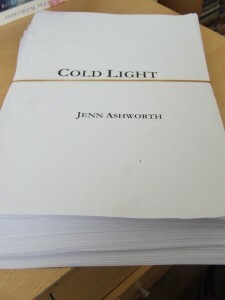 I have been dying to tell you for a little while now that Cold Light is going to be published in Spring 2011 by Sceptre. Sceptre publish lots of authors that I really like so it is terrific to be amongst such good company. ‘Terrific’ isn’t a word I’ve used a lot in my life. I don’t think I’ve ever said ‘fabulous’ aloud, in company either. At least while sober. There’s something about my natural hang-dog expression that makes any enthusiasm or pleasure I express come out as sarcasm. I try hard, but I can’t help it. Lancashire people sort of nod and sigh and say, ‘better than a poke in the eye with a blunt stick,’ or ‘not bad’ so we’ll do that for a little while instead. I got the good news when I was in hospital in late May, and it was just the cheering up that I needed after being fairly ill for a couple of weeks and having a little bit of bad news about a job I hoped to get but lost the funding for at the last minute. You know now, I think, how I feel about bed rest and hospitals and people saying You Can’t, and In Your Condition and the millions of pounds you pay on cards for the telly on the extendable arm just to remind yourself why you don’t have a television at home anymore. Sceptre are also going to be publishing the book after Cold Light too (as yet unnamed and only muttered about) although my tentative progress on that has been put on hold until after the summer, as I have a September deadline for the edited copy of Cold Light and there are a few jobs and tweaks I want to make to it before it goes off. I’ve been spending the last couple of days going over my new editor’s notes on the manuscript she’s seen, and the annotated copy of the book that she posted to me this week, and having a Hard Think about what I want to do about things. Yes, I know I’ve just had a baby. The pram isn’t just in the hallway, it’s in the actual office and is suiting us just fine thank you very much. I’ve never worked with an editor in this way before. It was very strange to have telephone conversations about my ideas. Normally when I’m writing I keep it all to myself. I’ve talked about some of my ideas for book three with the Northern Lines Fiction Workshop I helped set up (I reckon I will blog about this at some point too) and that helped, but it still felt odd. Even when I was doing my MA, I was more inclined to present my workshop group with the writing and let it speak for itself, scribble while they talked about it and digest the feedback in my own time rather than jump in with explanations and questions. So this is new. But I am not disliking it and I realise now I’ve been looking for something new – some way to stretch myself as a writer – for a while now. For some reason, I thought it would be less exciting the second time round. The same is for books as it is for babies: it is different and nerve-racking and exciting in the same and different ways. Familiar in some ways you’d expect to be strange, with a new publisher and a new book, and strange in some ways you’d expect it to be familiar (I have done this before, after all). I know some people liked the first book, but the second one is different. I couldn’t pull two Annies out of the bag, and the things I’m interested in writing about now are different than they were when I was twenty three*. It would be strange if they weren’t. So there’s that. And there’s the excitement too, that something I worked on for three years with no guarantee it would ever see the light of day (boom boom) will be in a bookshop early next year. That bit is just as exciting now as it was the last time. *I am twenty seven and just two days ago, while buying some birthday-present booze, I got asked for ID. This more than made up for the kick in the teeth I got at the school gates three days ago, when someone asked me when I was due to have the baby. Thank you, vigilant Booths check-out man. You are my hero. This entry was posted on Tuesday, July 13th, 2010 at 6:08 pm	and is filed under busy, Cold Light, happy, incredulous, yoda thinks I'm a hotty. You can follow any responses to this entry through the RSS 2.0 feed. You can leave a response, or trackback from your own site. Huge congrats, Jenn. 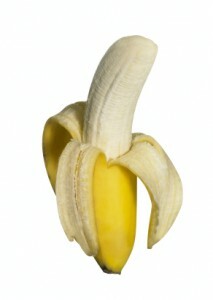 TOP BANANA indeedy! Brilliant! More great news from the world of Jenn. Can’t wait to read the next book! This is all wonderful news Jenn, congratulations on many counts. I can’t wait to read Cold Light. It is also good to see Preston Bus Station here. Or perhaps not, given the memories I have of it. Emily – I love the picture of Preston Bus Station, and my memories of it aren’t all together wholesome either.